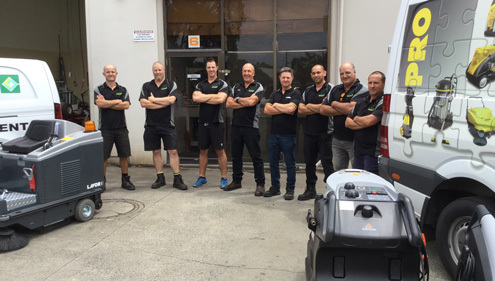 In Australia, we sell an extensive range of Pressure Cleaners (High Pressure Washer machines) with a representative range of Wet and Dry Vacuum Cleaners, Spray and Extraction Cleaners, Sweepers, Scrubber Dryers and Diesel Heaters. The range of Pressure Cleaners offered spans a machine for the home use, to the Tradesman to large hot water machines for the toughest environments. Spare parts, accessories and service available Australia wide. Lavorwash Australia Pty Ltd is 100% Australian Owned and run as a family business. Supplying Australia with Quality Italian Made Equipment for 25 years. With individual experience of over 30 years in the Cleaning Industry (over 100 years collectively), we provide a level of quality and reliability in sales and service that you’d expect from a 100% Australian owned and run business.